Whether you're in Nashville visiting family and don't feel like cooking or you're traveling through the city on Thanksgiving Day and don't have anywhere to go for the holidays, there are plenty of restaurants that will be open this November 22 and serving up a special meal for the occasion. From fine dining to casual buffet-style service, there are a number of great options available so that you don't have to fuss over cooking a huge meal for you and your loved ones. The Capitol Grille in the Hermitage Hotel is serving a family-style Champagne brunch in the hotel lobby from 10 a.m. to 3 p.m. and traditional three-course prix-fixe Thanksgiving dinner in the Capitol Grille from 5 to 8 p.m. On Thanksgiving Day, you can also stop by the Oak Bar from 3 to 8 p.m. for a celebratory cocktail. Featuring creative southern cuisine emphasizing local ingredients—including Tennessee Black Angus Beef—the Hermitage Hotel and Capitol Grille are located in the heart of downtown Nashville at 231 Sixth Avenue North (37219). While Cracker Barrel may be a chain of restaurants, many families traveling across the country—especially in the South—enjoy a stop at this classic American restaurant for a down-home meal and atmosphere. Not only will all Cracker Barrel locations in Nashville be open all day on Thanksgiving Day, but it will also serve up a special holiday feast to celebrate the occasion. It's also pretty affordable, at just under $13 for adults $12.99 and $8 for children, and you'll get turkey, dressing, and gravy; sugar-cured ham; cranberry relish; sweet potato casserole; corn muffins or biscuits; and pumpkin pie. You can also order off the regular menu if you prefer. Ranked as one of the "Top 100 Places to Eat in America" by Yelp for 2014, 2015, and 2016, Monell's serves up southern comfort food family-style and host weddings, rehearsal dinners, and events year-round. 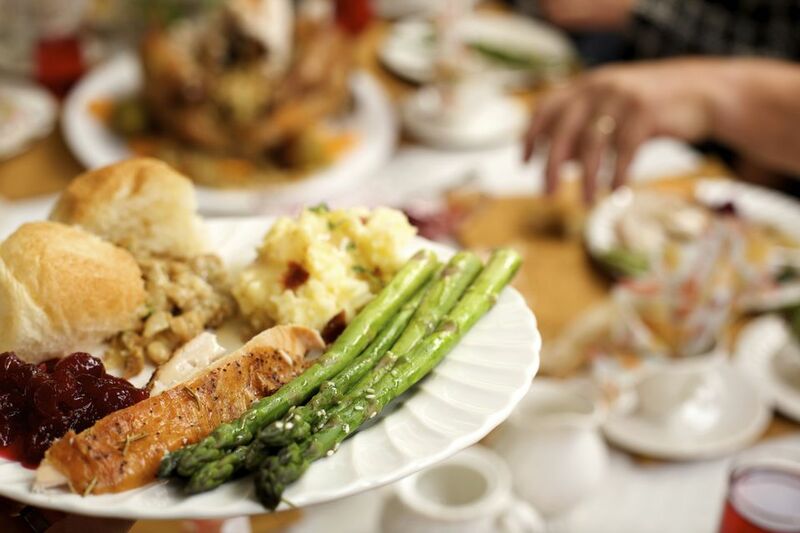 However, on Thanksgiving, you can head to either the Germantown or Manor locations for a special holiday dinner served in a home-style setting. This feast features a quintessential Southern menu that includes turkey and cornbread dressing, ham, corn pudding, macaroni and cheese, and caramel pumpkin pie. Monell's will be open from 10 a.m. to 6 p.m. on Thanksgiving Day; however, you can't make a reservation, so expect to wait if you arrive at between noon at 3 p.m. Alternatively, you can also get your Thanksgiving meal catered but you'll need to book your feast well in advance to ensure availability. Founded in 1988, this three-floor restaurant is located on Lower Broad in Nashville on the corner of Broadway and Fourth Avenue. Merchants offers a uniquely Nashville dining experience inside a 100-year-old hotel any time of year, but on Thanksgiving, the main floor bistro will be open regular hours, from 11 a.m. to 11 p.m., while the more upscale second-floor dining room open 2 to 10 p.m. Both will be serving special Thanksgiving menus alongside classic favorites on the regular menu. Adele's is serving up a Thanksgiving buffet that reflects chef Jonathan Waxman's take on the traditional menu. The restaurant, named after Waxman's late mother, and the holiday feast both reflect the cooking lessons Waxman learned from her growing up. Prepared on a large fireplace grill and wood-burning oven, the Thanksgiving meal costs $48 for adults and $18 for kids and will be served from noon to 8 p.m. Opened in 2014, Chauhan Ale and Masala House has quickly become one of Nashville's highest-ranked restaurants, earning the titles of "Top 10 Best Restaurant" from Nashville Lifestyles magazine; "Best Lunch" from Nashville Scene; "Best New Restaurant" from The Tennessean; and one of the "10 Hottest Restaurant in Nashville" by Zagat. Combining traditional Indian flavors with southern comfort cuisine, this unique restaurant will be serving up its Thanksgiving meal again under the leadership of Executive Chef Maneet Chauhan. Called "Thanksgiving Thali" (Turkey and Nine), you can get this great exotic meal for just $28. Winner of the Diner's Choice Award from OpenTable for Nashville restaurants, Sperry's first opened in 1974 in Belle Meade. Since then, this family-owned business has garnered a reputation as one of the best steakhouses in the area—and indeed the country—and in 2006, they opened a second location in Cool Springs. On Thanksgiving Day, Sperry's will be serving traditional feasts at both the Belle Meade and Cool Springs locations for $32 for adults and $14 for children.